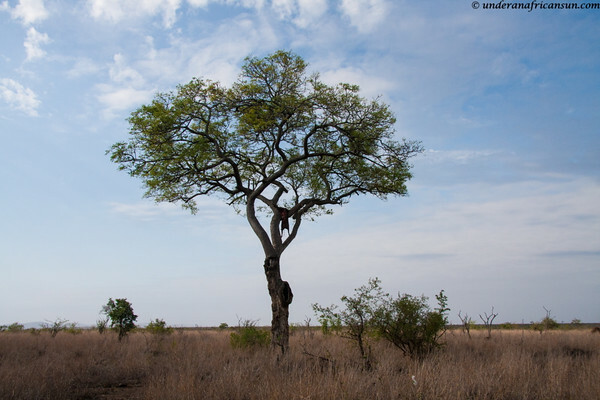 This past November, I spent 10 days in the Kruger National Park solo (in case you missed my first post last week about the trip, you can read it here). 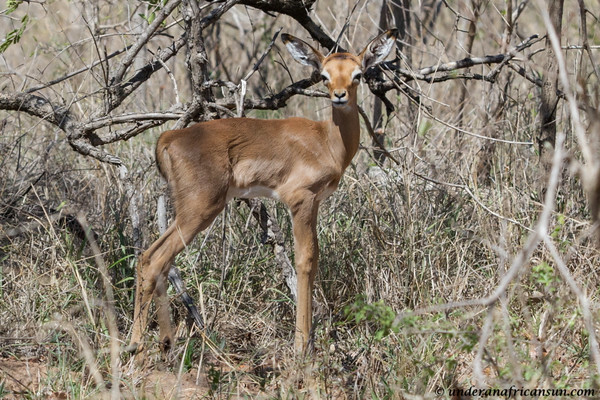 November is a great month to go to the Kruger. First off, since it is just before the busy holiday season, it is a lot less crowded. Temperatures are starting to heat up, but the good news is that starting in November, the camp gates open at 4:30 am and close at 6:30 pm. You can beat the heat by getting out early and head back to camp once it heats up around 10 or so for a break (or if you don’t mind the heat, you may just stay out all day until gate close like I usually do!). But the best thing about this time of year is that Kruger is filled with all sorts of adorable babies. The park explodes with cuteness and I want to share some of my favorite baby photos with you today. You’re Such a Chee-tah ! Back in February, I took a solo trip to Kruger National Park. I am trying to get caught up on my adventures but life seems to keep getting in the way of my blogging (all in a good way). 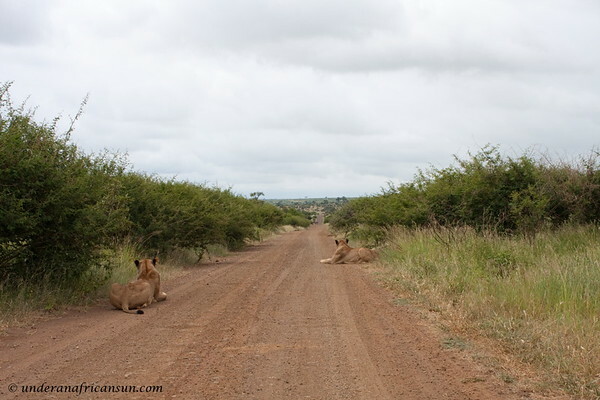 In my last Kruger post, I wrote about my sighting of 2 lionesses that I had all to myself. That day in particular was probably my most exciting ever on safari and today I would like to share another fantastic sighting from that same day. As I mentioned in my post about the lionesses, this day started out grey and misty with rain showers lurking so my expectations were rather low for the day. My first sighting for the day was one of my favorite eagles, the Bateleur. The eagle was fairly close, up in a tree, just off the road. But with the unfavorable weather conditions, the lighting was terrible. After spending 10 or 15 unsuccessful minutes trying to get a decent shot of this bird, I noticied there had been no other cars coming in the opposite direction and the couple of cars that came from behind me did not even stop and quickly continued up the road. 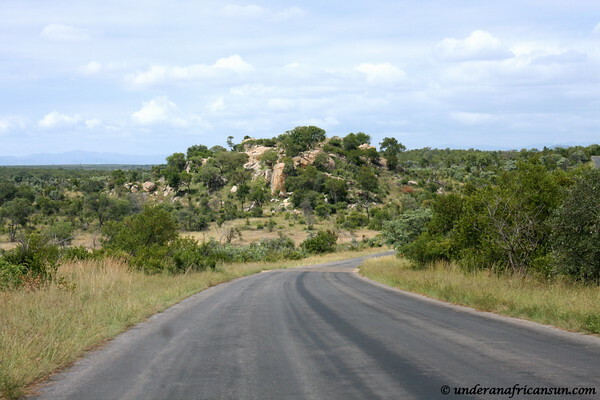 If I had to name one reason why I totally love being on safari in the Kruger Park I would probably say something like it’s because of the idea that each day when you roll out of bed and hit the road, you really have no idea what surprises the Kruger has in store for you. Maybe you will run across a breeding herd of elephants peacefully frolicking in a waterhole or maybe you might forced to reverse down a narrow dirt road by a big elephant bull who could easily flip your vehicule in one swift trunk swipe. Maybe there will be a crash of rhinos blocking the road and you will have to eventually turn around and find another road. Maybe you’ll plan a quick stop at a waterhole just to check it out but you end up sitting for a couple hours just watching (and taking zillions of photos) the diverse bird life and all the other creatures coming down for a visit. The possibilites for special sightings in Kruger are endless but sometimes there are some that are just a little more special for one reason or another. One of those is what I wanted to blog about today. This particular day on my recent visit to Kruger Park had started out overcast and drizzily. I had already had some great sightings on previous days but with the weather being as it was, I really didn’t have any high expectations and I was in fact glad that the rain had finally brought the high temperatures of the previous days down a bit. 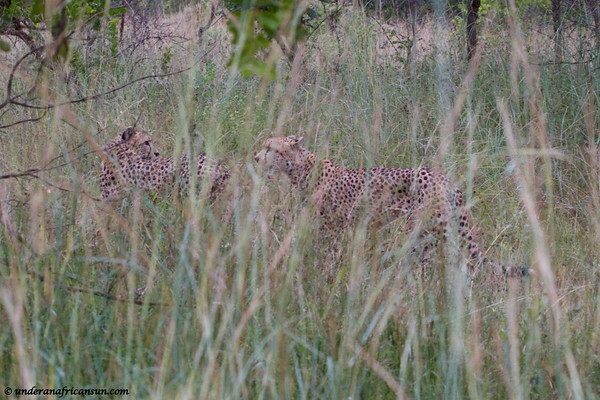 However the Kruger had other ideas for this day and soon I found myself at an amazing cheetah sighting; only the second time in my life that I have seen them. That was special, really special but that sighting isn’t what I am going to write about today (I will one day but you’ll have to wait a bit for that one). I am addicted to the Kruger National Park. There, I said it, and I am not the least bit ashamed. I just got back 2 days ago from another fantastic self-drive trip to this reserve, my 3rd since moving to South Africa a little over a year ago and my 5th visit overall. This time was a bit different than the others as I went solo. Yes, that is correct, just me, myself and I, alone in the bush and it was an amazing adventure.